It's no secret that Londoners have alway met any big Hollywood or British production based on a local landmark with a huge amount of suspicion, and sometimes even derision. Who could forget the locals' reaction to Roger Michell’s Notting Hill in 1999, and how the lack of representation of the area’s rich and diverse community was met with anger and disappointment by many. 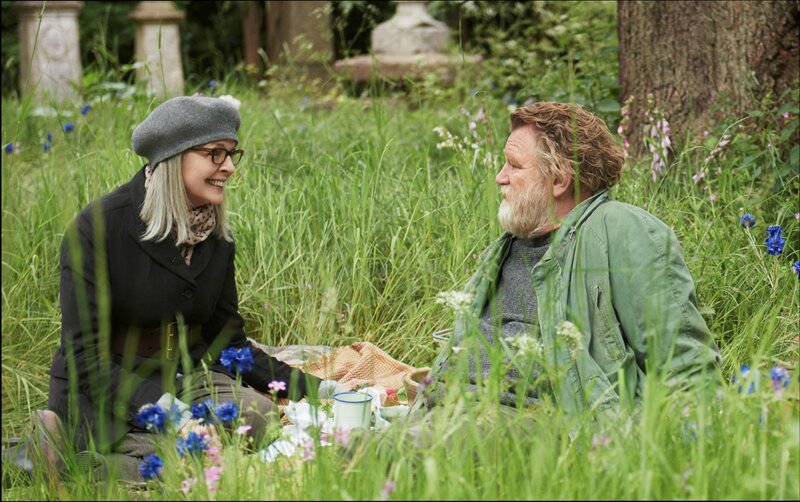 Granted, Hampstead doesn't exactly present the most subtle or even the most believable narrative, but if you are willing to ignore the blatant “touristic” aesthetics attached to it, you might find yourself rooting for this hugely completing, yet slightly flawed rom-com. Staring Diane Keating and Brendan Gleeson and directed by Joel Hopkins, the film centres around themes of gentrification and triumph over corporate greed in one of the capital’s most affluent areas. Keaton is no stranger to these roles, her ability to transport her particular blend of quirky New York chutzpah to different settings is not only impressive but rather admirable. Loosely based on a true story, Hampstead does mostly a good job of presenting a well rounded storyline, but is sadly let down by a rather disappointing screenplay from Robert Festinger. Recently widowed Emily (Diane Keaton) is broke, lonely and in search of adventure after years of living under the shadow of her cheating husband. Her life suddenly takes on an unexpected turn when she first lays eyes on local oddball and self-confessed grump Donald (Gleeson). The two have a not so “meet-cute” experience as Emily tries in the best way she knows how, to get Donald to notice her, while he is reticent to show any interest in her from the start. As the story develops, the couple find themselves fighting those around them who disapprove of this union, and those who simply want to get rid of Donald who for the last 17 years has set ups home in a ramshackle cabin on The Heath. With great secondary roles courtesy of Lesley Manville, James Norton and W1A’s own Hugh Skinner’s, the film comes into its own by the introduction of the always fantastic Jason Watkins as James, Emily’s new lecherous ukulele wielding accountant, who just won't take no for an answer. Hampstead may not present its audience with the most coherent or realistic prospect, but on the whole the film manages to garner a huge amount of good will and sympathy towards its protagonists. Culminating in a silly but rather charming denouement, Hampstead is definitely worth checking out, as long as you don't mind the odd inaccuracy.